Bethesda is blessed with the best supporters ever! God stirs up the hearts of people all over the world in the most amazing ways to the benefit of our families and the children in our care. We are in the privileged position of seeing the needs of our small organisation taken care of in ways that we can’t possibly deserve, reminding us daily how our heavenly Father made a way for us to be reconciled to Him in a way that we can’t earn. From praying for us, donating to our main objective of making disciples of Christ, to churches sending short term missions teams and serving our families onsite, Bethesda’s supporters have blessed us abundantly over the last 19 years. Because our supporters care so deeply for our children and families and often establish close relationships with children or parents, we are frequently asked about the option to specifically support a single child, a family, or even an individual teacher. While the heart behind this question is completely understandable and we are extremely grateful for such caring supporters, singling out an individual is a practice that we prefer not to encourage. 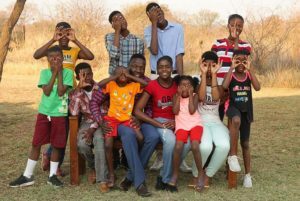 Bethesda currently has 51 children living onsite with 7 different houseparent couples. An additional 4 children are taken care of in 2 separate community homes. Jabulane Christian Academy employs 17 teachers and admin staff members, and has a total of 217 students. As you can imagine, with so many people needing support, singling out one child, houseparent, teacher, or student for individual support does not lend itself to unity among the people of Bethesda. Am I saying that it’s not possible to support an individual at Bethesda? Absolutely not! While it’s not in the best interest of everyone involved for one child or staff member to be singled out, all financial support to our kids, families, and staff are applied towards the needs of everyone connected to Bethesda via our general fund. When donating financially to Bethesda, please keep the individual people in mind for whom you care for, and know that your donation towards the Bethesda general fund will be used for their overall care. We try to communicate often and broadly when we give feedback and attempt to cover every aspect of Bethesda and its people in our communication. While we understand that supporters may have specific children, families, or teachers in mind when they think about Bethesda and might wish to hear more about them, we want all of you to be exposed to as much of Bethesda as possible. If you are praying for or have interest in a specific child, family, or staff member and would like updated information on them, let us know at bethesda-temba@boi.org and we will try to provide that as we are able. We give thanks to our Father for each and every one of you – our supporters. Without you, this ministry could not work, and we covet your prayers for our children and staff. If you would like to support Bethesda’s people in any way, please go to our giving page and make a one-time gift or set up a recurring donation to help us continue to meet the basic spiritual and physical needs of the children and families that God has put into our lives. Thank you for your partnership! 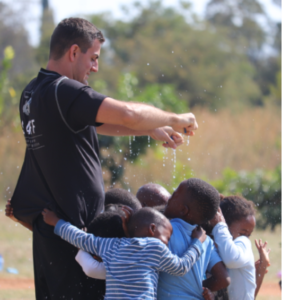 Rudi van Jaarsveld is currently the incoming Executive Director for Bethesda Outreach. He has worked at Bethesda for many years as Business Manager and Village Manager. He is currently working together with Don Whipple, our current Executive Director. He is very involved in his church and he and his wife, Michelle have two girls.